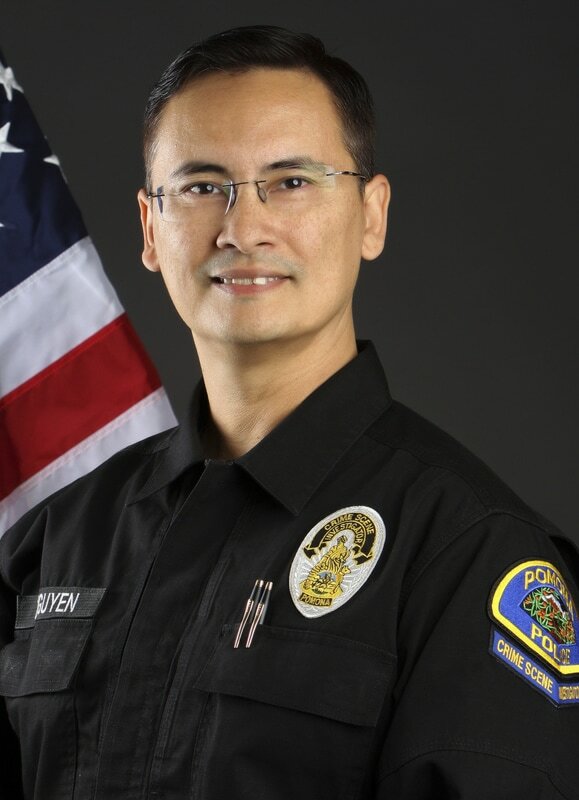 Tony Nguyen has been a Crime Scene Investigator and Latent Print Examiner with the Pomona Police Department since 2005. He is a Certified Crime Scene Investigator and is further Certified in Forensic Photography & Imaging through the International Association for Identification (IAI). Working for a very busy department, Tony has amassed over 11 years of extensive experience in the field of forensics and is involved with teaching, training and has been a guest speaker at several law enforcement agencies and forensics conferences. He is currently a part of Pomona Police Department Unmanned Aerial Vehicle Program assisting with FAA exemption requirements for aerial photography. Tony is very active in the Los Angeles latent print and photography community and served as the 2015 President of the Southern California of Fingerprint Officers; is a member of the Los Angeles County Forensic Supervisor’s Group; and is a current Board member of the IAI Forensic Photography & Imaging Certification Board. He graduated from the Art Institute of Seattle in Commercial Photography and has worked as an editorial and studio photographer since 1989. He’s had multiple photo exhibitions in California, Washington State, Victoria and Vancouver (British Columbia, Canada). His interests and areas of expertise are in forensics, and UAV and VR 360 photography.